Handball is a team sport with a long and fascinating history and numerous benefits to overall fitness and health. On the other side of the world, ancient civilizations in current-day Mexico and Central America were portrayed playing a form of handball on intricate pottery and wall-paintings. These archaeological findings date to more than 3,000 years ago. It is believed that many modern sports, including modern handball, tennis, lacrosse, volleyball and basketball all owe their origins in some part to ancient handball. Modern handball became an international Olympic sport in 1936 in Munich, Germany and consists of a competition between two teams of seven players each (including one goalie), where the aim is to bounce and pass a ball up a 131 x 66 foot (40 x 20 meter) court and to throw it into a defended net. Olympic competition matches consist of two intensive 30 minute halves, and it’s usual for 40 goals or more to be scored total in each match. 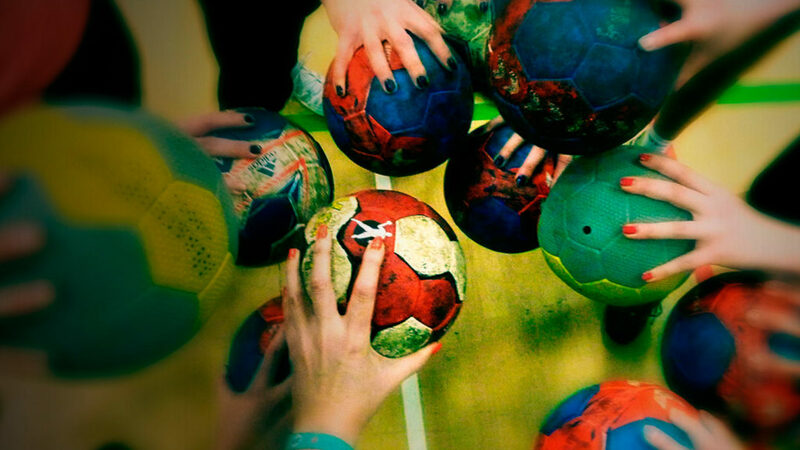 Handball is a great form of exercise, for both men and women. Principally a form of aerobic exercise, handball helps to enhance agility and flexibility, muscle tone, stamina, burn calories and fat and promote cardiovascular health. With intermittent high-intensity moments during competition, handball also has anaerobic and musculoskeletal benefits. As with most team sports, handball also builds a sense of community and aids in confidence and overall mental well-being. Organized competition and team sports have been important forms of exercise and community gatherings for humans since civilization began more than 10,000 years ago. Handball is one of the earliest documented forms of these competitions, and the fact that it still exists in international competition and has many popular descendent sports further attests to its excitement, challenge and promotion of human fitness. Unfortunately, handball has a very limited following to this point in the United States, but is a popular recreational and competitive activity throughout most of Europe.